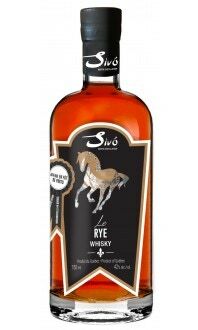 Le Single Malt Sivo is distilled from local Quebec malted barley and aged patiently in new oak casks, before being finished in Sauternes casks. Tasting notes: A powerful, racy and elegant whisky results, with fruity perfumes. 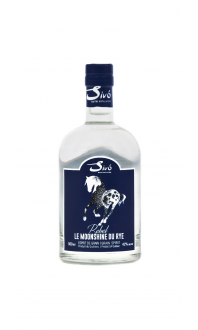 Its Sauternes cask finish gives Le Single Malt Sivo roundness and softness, as well as fine notes of candied fruit and pastry. To serve: Le Single Malt can be served at room temperature or on ice. Distillation: Québec malted barley is freshly and perfectly milled in our distillery. It is then mixed to fresh spring water from Covey Hill, on the foothills of the Adirondacks, and heated for 2,5 hours in a stepwise process. Maximum temperature reached is 67°C. Following the addition of yeast, the mash is fermented during 4 days, its temperature is controlled in inox reservoirs with dual cooling jacket. Distillation takes place through the various plates of our Aroma type still made by the German firm Müller Brennereianlagen, with computer controlled temperature. The distillate is diluted to 62% alcohol in preparation for maturation. Aging takes place between 8° and 28°C with humidity of 68 to 78%. No color is added to this product.